When I first read Andy Weir’s sensational novel The Martian a couple of years ago, I never imagined it would eventually become a Ridley Scott film, boasting one of the best casts in recent memory. Two more impressive talents just got pulled in, as former Community star Donald Glover and Headhunters madman Aksel Hennie recently signed on. Say what you will about the quality of Scott’s movies, he always backs his A-listers with the best in the business. For The Martian, Matt Damon plays Mark Watney, who is part of a NASA mission situated on Mars. Hennie plays one of his fellow astronauts, joined by Michael Peña, Kate Mara, and Jessica Chastain. There is a huge dust storm that causes major complications, and the bulk of the team has to immediately pack up and leave the planet. Unfortunately, Mark is assumed dead and he’s left behind. (That qualifies as a worst day ever for anyone, I’d think.) Luckily, Mark is like a MacGyver with a brain for science and technology, so he makes it his mission to survive. Chastain’s character leads the rescue mission to try and save Mark. Back on Earth, Jeff Daniels will serve as the director of NASA, and Mackenzie Davis and Glover will play NASA employees. The book is a total roller coaster ride, although I have a fear of Scott turning a small-scale story with big risks into a large-scale story with completely preposterous risks. He’s not a guy known for undershooting his plotline. Still, his ties to science fiction cannot be denied, and even when he’s directing dumb-as-brick characters—say, for Prometheus—he still sets them inside a gorgeous, exquisitely imagined world. Considering all of the characters in Weir’s book are automatically smart, I think we’re in for a prize here. 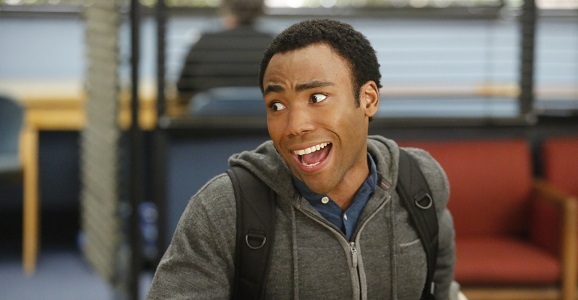 The multi-hyphenate Glover, who spends his non-acting time directing short films and creating music as rapper Childish Gambino, left the cult favorite series Community midway through Season 5 to turn his focus elsewhere. He can be seen in theaters appearing in the children’s comedy Alexander and the Terrible, Horrible, No Good, Very Bad Day, and is currently filming Gregory Jacobs’ Magic Mike XXL. His upcoming feature, David Gelb’s Lazarus, is a thriller involving med students raising people from the dead, so it’s obvious Glover wants to show his range when it comes to picking projects. He’ll also get to play Spider-Man, something he’d wanted to do for a long time, for a pair of upcoming Ultimate Spider-Man episodes. Hennie, meanwhile, made his crossover break into the U.S. for Morten Tyldum’s excellent crime thriller Headhunters. He followed that up with roles in Brett Ratner’s Hercules and Fox’s 24: Live Another Day. Next he can be seen opposite Morgan Freeman and Clive Owen in Kazuaki Kiriya’s action-adventure Last Knights. The Martian will be Scott’s next film, and is expected to go into production before too much longer. Though maybe we’ll get another amazing actor or two added to the cast before that happens. Fingers crossed for Jon Hamm and Donal Logue.